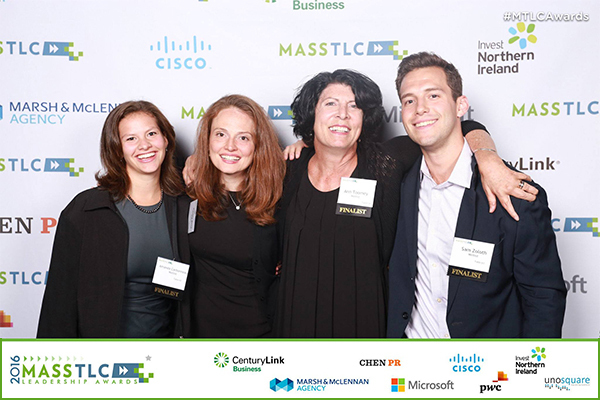 BOSTON, MA—(September 15, 2016) – Wellist, a patient experience solutions provider, was among a select group of winners at the 19th annual MassTLC Leadership Awards Gala in Boston. Wellist received the award for the most ‘Innovative Tech of the Year—Healthcare Tech” from the Massachusetts Technology Leadership Council (MassTLC). The award cited Wellist’s significant contribution in the area of patient data and healthcare insights. Wellist’s Integrated Patient Experience Solutions includes patient experience assessment and analytics, in-hospital concierges, call center navigators, and digital solutions for non-clinical needs - all powered by a proprietary directory of patient support services. Because Wellist customizes these directories for each client, the company’s algorithm can match a provider’s patients to support services tailored to their unique needs. For example, when a breast cancer patient needs groceries delivered and unpacked because she’s had a mastectomy, Wellist quickly finds a qualified service in the patient’s area. At the intersection of data-driven insights and human compassion, Wellist helps healthcare leaders meaningfully improve patient satisfaction, outcomes and loyalty. Wellist’s Integrated Patient Experience Solutions provide the tools to address actual human needs across the care continuum, combining proprietary technology, human services and unique data. Wellist clients include Massachusetts General Hospital Cancer Center and Beth Israel Deaconess Medical Center.